"Somewhere, the towers still stand......in our hearts, in our minds, and in Heaven". 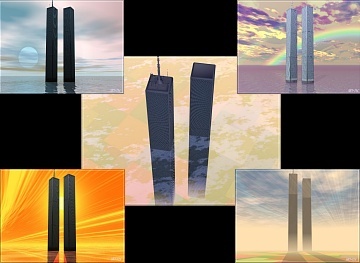 Fifteen 3D fantasy images of the World Trade Center, Twin Towers. Download Twin Towers Forever Wallpapers! These images were made with DAZ and Bryce programs. Images and Screensaver copyright, ART-TLC ©.